Even as distributed solar PV systems become increasingly common, utilities’ interconnection processes are often lengthy and problematic. 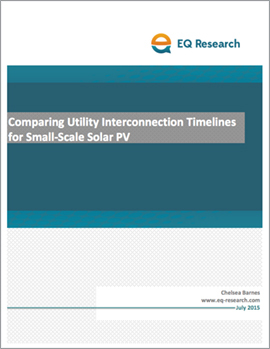 This report by EQ Research, published in July 2015, found that electric utilities took considerably longer to grant permission to operate (PTO) new PV systems installed in 2014 than in 2013. The report synthesized survey data from PV installers operating in utility service territories in the U.S. states with the most residential PV systems. 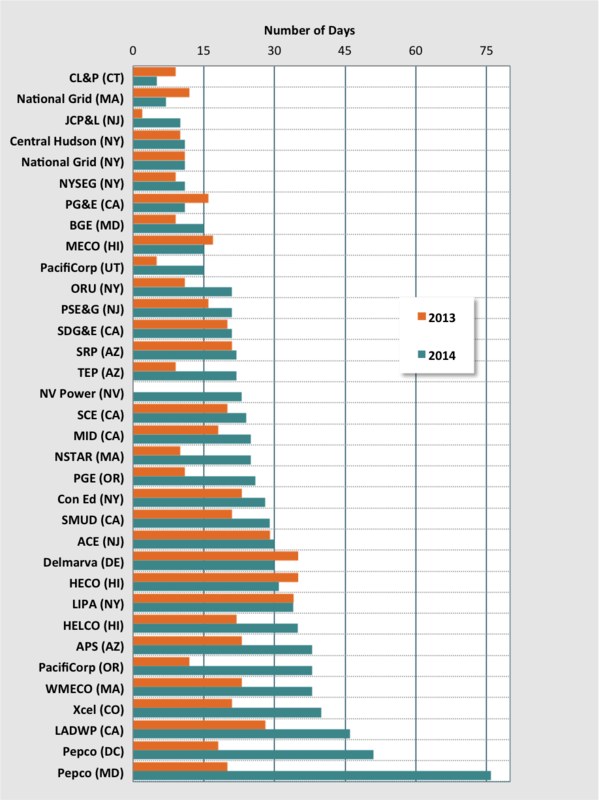 Overall, utilities took 68% longer to grant PTO in 2014 compared to 2013. The average reported PTO waiting period exceeded the specified limit for 58% of utilities that are operating under state interconnection procedures that prescribe PTO deadlines. Rejections related to grid reliability concerns jumped in 2014, with installers reporting denials in 14 of the 34 utility service territories included in the analysis. Based on interviews with PV installers and utilities’ interconnection staff, this report identified several key issues that cause delays, while recommending best practices for expediting the interconnection process. The full study and its recommendations — available for free — may be downloaded using the form to the left.